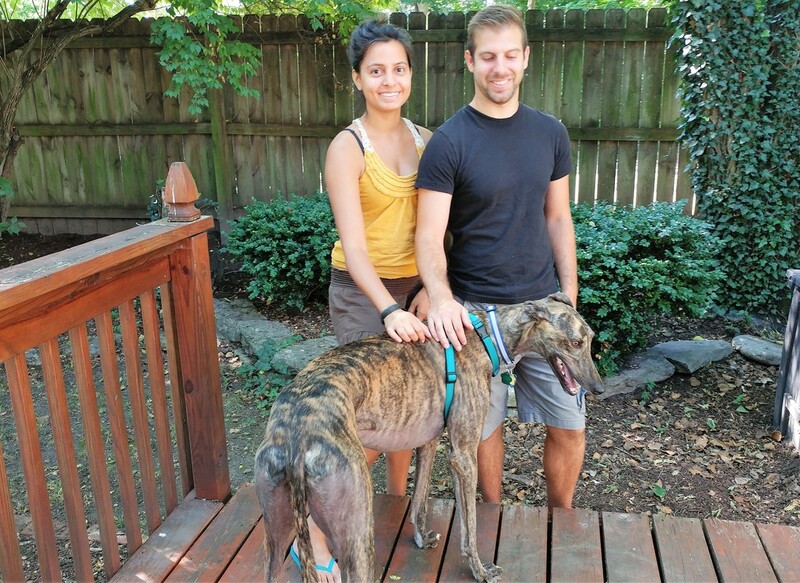 Sarah and Alex of Dayton recently moved into their first house and knew it was time to add a greyhound to the family. Two year old Slatex Raider is a happy, confident boy with a constantly wagging tail who enjoys meeting people. His new home is in an historical section of Dayton with many places to walk, so Raider has lots of exercise (and meeting new neighbors) in his future.